Welcome to Week 17 of the fantasy football season. As always, these player selections are for DraftKings – the best daily fantasy site out there. 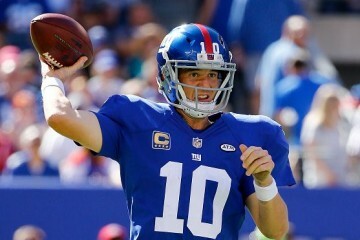 Stats for fantasy points allowed come from NFL.com. Devonta Freeman – $7,600 vs. New Orleans – It’s a great week to play some studs. Freeman plays the second-weakest defense against running backs from the last four weeks. New Orleans has allowed 731 total yards and seven scores to running backs in the last four weeks. Freeman’s receiving duties give him a great floor to use him in cash games, and his matchup and total workload give him a huge ceiling, as we’ve seen before, to use him in tournaments. Todd Gurley – $7,400 at San Francisco – Gurley gets a cake matchup to end his season, as the 49ers have allowed seven running back scores and over 125 rush yards a game in their last four games. 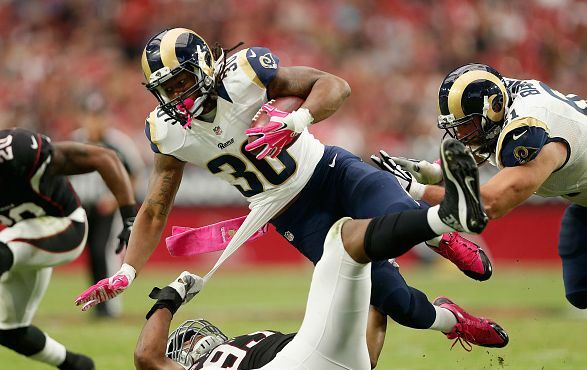 Gurley’s rolling recently, accruing at least 79 total yards in each of his last three games and scoring four times. DeAngelo Williams – $7,100 at Cleveland – Cleveland ranks in the middle of the pack in points allowed to running backs in the last four weeks, but Williams is basically matchup-proof. He’s scored at least 16 points in each of his last five games, and he’s topped 23 four times there. Tim Hightower – $5,500 at Atlanta – Hightower has seen 29, 16, and 30 touches, respectively, in his three starts for the Saints, and he’s scored 16, 11, and 34 points in the three contests. This game should be a shootout, and Hightower’s been involved in the receiving game in his starts – and has been productive, too. Atlanta’s allowed the fifth-most points to running backs in the last four weeks, including five touchdowns and almost five yards a carry. James White – $5,000 at Miami – This is strictly a tournament play as touches for the New England backfield are almost always inconsistent. But White has four straight games of at least 14 points; he’s scored in each game, too, and he’s averaging six catches and over 60 receiving yards a game. Miami has been the third-worst defense against running backs in the last four weeks, giving up six touchdowns (four receiving) and about 170 total yards a game to running backs. Follow Andrew on Twitter: @44AMiller.